Come learn why cheese and beer are the ultimate partners! This event will feature beer from Village Brewery. And cheese. Always cheese. Calling all craft beer lovers! Come and enjoy some fantastic craft beers from breweries such as Banded Peak, Brewsters, Village Brewery, and Big Rock. Join Mill Street Brewery on Saturday, April 6th from 12-4pm to celebrate our local beer community in Calgary. Each brewery will be offering up samples of their classics and some of their new seasonal brews. Join Red Bison Brewery’s passionate team members as they tell you about their brewery, beers and story! For only $10 (including fees & taxes), your ticket includes a tour of the brewery, a beer flight consisting of 4 x 5oz glasses (you’ll get to choose the beers out of the menu), AND 10% off food (yes, Red Bison has a dine-in kitchen too)! You’ll also get to enjoy one of Red Bison’s delicious panini sandwiches, a charcuterie board or a snack if you choose. The 2019 Alberta Beer Awards is a must! But if you can’t make it to the event itself, we’ve got you covered. Join David to try some winners from the awards. Enjoy 10% off all growler and crowler fills after your tasting. Sweet dreams are made of this! This class for those who love their drinks on the sweeter side, from coolers to dessert beers! The night will feature Dave the Beer Guy’s go-to sweet treats that the dentist probably wouldn’t approve of. Make sure you brush your teeth after! Join Tool Shed Brewing Company at their tap room on Saturday April 20th, 2019 for a morning yoga session taught by the fabulous Jane Rezende, followed by a pint or flight of your choice. Join them on the Saturday Afternoon tour directly afterwards as your ticket is included in the price. All yoga levels are welcome! Yoga is for everyBODY and everyone! Bring your mat, water bottle, and dress to impress… yourself (comfy clothes)! Guests will enjoy an amuse-bouche paired with a welcome beer, followed by four courses that are each selectively paired with complimenting beers. Chef Dave Phillips & Cabin will provide some commentary into the food & beer pairings during the evening. 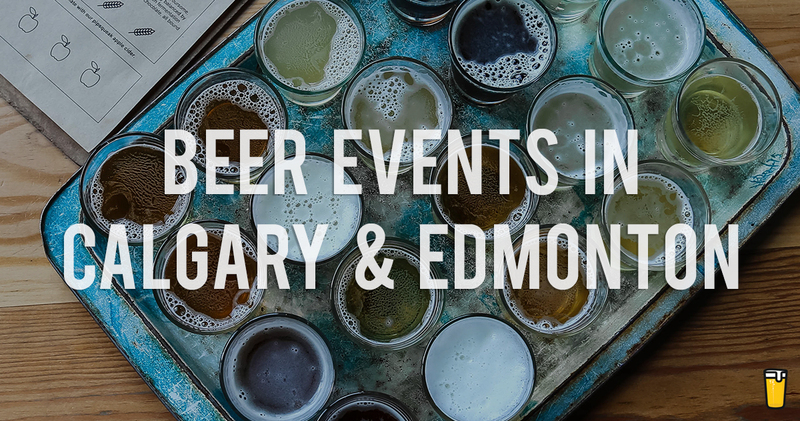 On Friday, April 26th from 7pm to 9pm, we’ll munch on delicious bites while several local craft breweries showcase their favourite (and new) brews! Breakfast? Brunch? Whatever you want to call it, we all secretly know that the first beer of the weekend belongs at breakfast. Join our very own Advanced Cicerone Kevin Rechsteiner as he walks you through some of springs finest local brews alongside waffles. The Mega Race is a one day Amazing Race style adventure culinary scavenger hunt extravaganza race filled with puzzles, secret businesses, checkpoints, tasks, wine, beer & lots more with over 30 local businesses around calgary participating! You can plant with us! Your $39 ticket includes everything you need to plant one cactus garden, two cactus plants, rocks, soil, accessories, planting gloves and your choice of coloured planter. As part of the experience, you’ll also receive a flight of beer to taste SYC Brewing Co.’s finest and snacks. Calling all craft beer lovers! Come and enjoy some fantastic craft beers from breweries such as Village Brewery, Parallel 49 and Big Rock. Come for the Yoga, stay for the beer. We’re spending an hour in poses that celebrate our bodies, celebrate beer with poses that allow you to sip, pose, repeat. Sherbrooke Liquor’s Beer Manager Stephen Bezan returns once again for his ongoing series of tastings! Stephen scours the beer cooler in search of the latest and greatest in craft beer, and hand-picks 7 selections for you to sample. There will be a mix of different styles including brand new releases, limited edition seasonals, or classic picks. All of them are unique. All of them are adventurous. And all of them are 100% certified Banger status. Join Nudoru and Folding Mountain Brewing on April 15 as they team up for a special beer-focused dinner and cask. Tickets are $35 and include food and a 12oz pour of the cask. Come for the Yoga, stay for the beer. We’re spending an hour in poses that celebrate our bodies, celebrate beer and interact with a partner to create closer connections – in a fun and lightheared class designed for couples and partners, friends. After the couples yoga class, enjoy 40 credits of free play, included in your ticket, for games in the Yard – it’s the perfect way to end a yoga sesh. Join Endeavour Brewing Company and Yoga Instructor, Andrea Addison for an event full of friendship, yoga and beer! This event will include 45min of yoga, followed by a brew of your choice. Beer. Cereal. Good Times. Join us and our good pal Myles Myroon for yet another edition of Beerios! Expect a super high-class pairing event with some stellar BC craft beer and a selection of fine cereals. Plus, we’re doing it at 10:00am on a Saturday, so there may even be cartoons. 12 Beers, 6 Rounds. In each round you’ll be blind tasting an Alberta beer and a World beer of the same style. You vote for your favourite, we tally up the votes and see how Alberta beer fares against the World. Oops! Did we miss an event that your attending or hosting? Let us know and we will add it to this list (and our beer events page) to help spread the word!